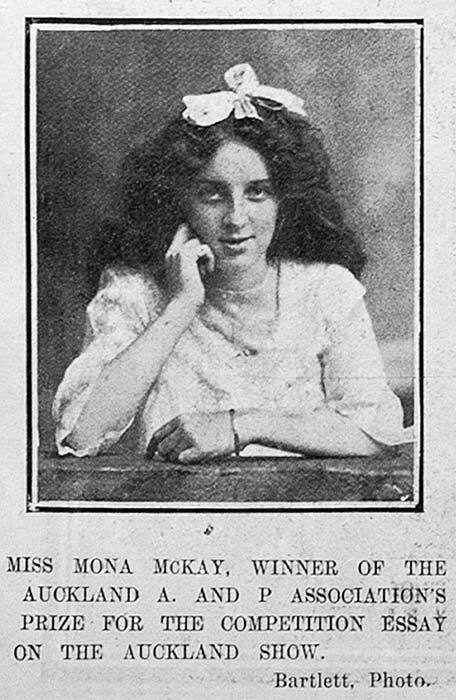 This photo of young Mona McKay, wearing an expression of quiet triumph, appeared in the Auckland Weekly News in 1906. McKay was the winner of an essay-writing competition sponsored by the organisers of the Auckland Agricultural and Pastoral (A & P) Show. Entrants were required to write an essay on the show itself. Small-scale literary competitions like this were the only opportunity for writers to win prizes for their work until the creation of national literary awards in the 1940s.